Today we get to try the Ella-Kandy train route, that’s said to be one of the greatest not only in Asia but in the entire world. We get to Ella railway station by 9am, our train leaves at 9.30. 2nd class tickets cost us 240 rupees, 1.50$, to cover 160km. Following under, some lines to explain how to obtain your tickets. Simply show at the train station on the day of travel to buy a not reserved 2nd or 3rd class ticket. These kind of tickets are by far the cheapest ones, but be warned the carriages may be overcrowded, especially during high season and leaving from the main cities i.e. Colombo and Kandy, and standing for 4 hours is never a good idea. Reserve your ticket at the station with a few hours or better 1 day in advance. In this way you will have a guaranteed numbered seat in a standard coach never too busy since standees are not allowed in them. 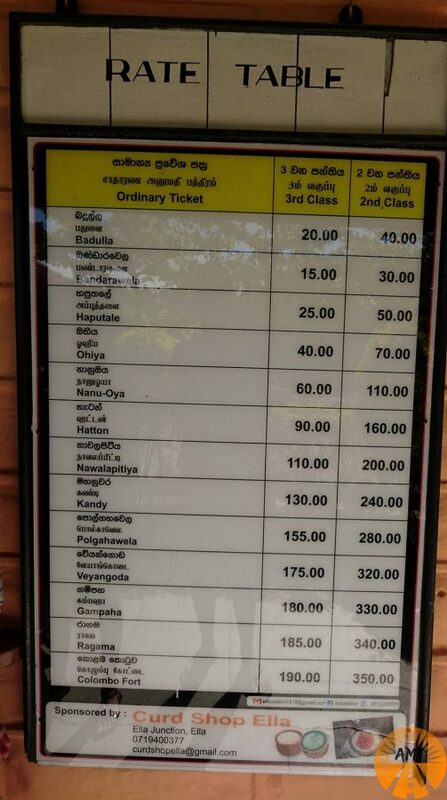 You can book anything except for 3rd class tickets; the prices are about 50% more expensive than same day tickets. When we were in Trincomalee, we got our tickets a couple of hours in advance. Book online through amt.12go.asia before getting to Sri Lanka. UPDATE OCTOBER 2018: amt.12go.asia recently added Sri Lanka railways to their online booking system. The service is currently being improved, but it’s already possible to book some routes with at least 32 days in advance, due to high request. What seat do I need to buy? 3rd class seat: wooden non numbered benches. The most popular choice for local people, because of their super cheap prices (a 200+km ride from Colombo to Trincomalee costs less than 1$, 130 rupees!). We recommend this kind of seat if you want to have a taste of Sri Lankan culture. You will see all kind of people, big families, students, workers, etc.. In busy areas particularly around Colombo, these coaches will easily be full, so get prepared to stand. We don’t recommend 3rd class tickets for journeys longer than 3 hours, your back is the most important thing when you are backpacking, and you don’t want to lay it to a wooden surface for a long time, or worse, not lay it at all. We had a nice experience travelling in 3rd class from Colombo to Negombo! 2nd class non reserved seat: way more soft, not too expensive. This might be your best option if you are travelling in mid-low tourist season, you won’t have to worry about the crowd and you will be able to sit back and enjoy the landscapes. Prices are still very very affordable, our Colombo-Galle 2nd class fare was 260rs. 2nd class reserved seat: same coaches as above, with numbered seats. The price is about 50% higher than standard. Definitely suggested during high season and touristic routes. 1st class seat: they come only numbered. You will have privacy and air conditioning, if that’s what you’re looking for, but you will miss the breeze of leaning from your window, which is the best part of the trip in my opinion! Recommended if you need some quietness and you’ve already experienced the lower classes. Observation deck carriage (available only on selected trains): we came across one of them at a middle station, it looked like 3/4 of the carriage are closed, with AC, while there’s an open space area at the end of it where you can enjoy the panoramic sights. Prices of course are higher and booking in advance is required. This option is recommendable if you travel with a numerous family, for seniors, or during peak season when all other classes might be packed. 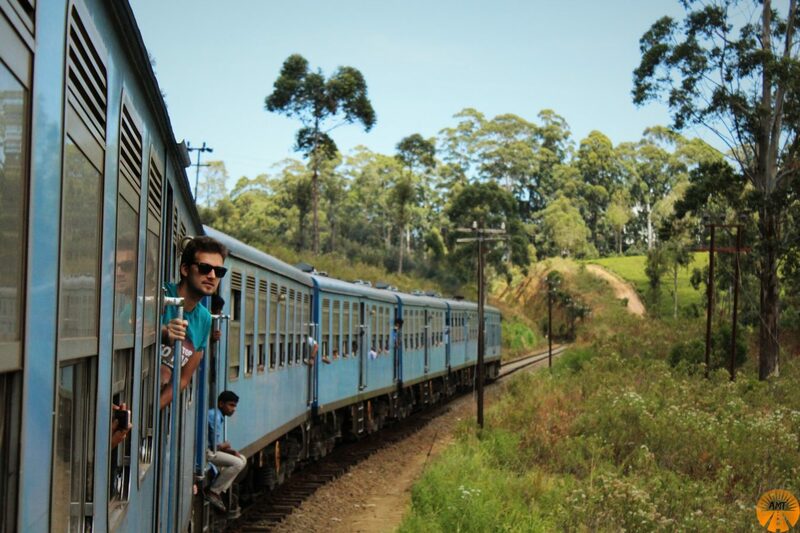 Whatever class you choose, make sure you do at least one train ride in Sri Lanka, you won’t regret it! Let’s now go back to our Ella-Kandy journey. The platform becomes quite busy, there are about 40 foreigners ready to get in 1st and 2nd classes, only a few go for 3rd, while locals opt for mainly 3rd and some in 2nd class. The train has just started it’s journey from Badulla, some 20 km away, it is not that crowded. Nevertheless everybody rushes to try and get the best spots next to the window and in the travelling direction. Even though you have great views also in the opposite direction, and you can always stand up to go and take pictures from the open doors, if you really want to secure a good seat, try to get one on the left hand side of travel. Indeed after a short stretch throughout which the tea plantations are on the right side, the best view is on the left for the majority of the journey (So for the opposite journey Kandy-Ella, right hand side would be the best). We wonder how the locals see us, acting like crazy running up and down the aisle. We refuse to fight with 4 Chinese guys who are constantly taking pictures and monopolizing almost 2 carriages of doors and windows, hoping that eventually our time will come! Our patience will soon be rewarded, most of the westerns step off either in Haputale for Lipton’s Seat or in Nanu Oya for Nuwara Eliya. Leaning out of the doors is a true feeling of freedom! The view is so beautiful, staring out of the window is a must. Hours fly, only towards the end the sky becomes cloudy, while we approach Kandy. It really is a marvelous journey, would take a 6 hour train ride like this all day compared to any bus trip or flight! We strongly recommend to do at least one stage of this railway, if you can’t make it completely. And don’t forget to run the train from top to bottom, not to miss the fascinating 3rd class. If you do a short trip like Ella-Haputale, you can easily go for 3rd class, it is normally busy but you can stand it for an hour or so. We would recommend 2nd class for longer trips, where you might want to sit back and relax after a couple of hours. 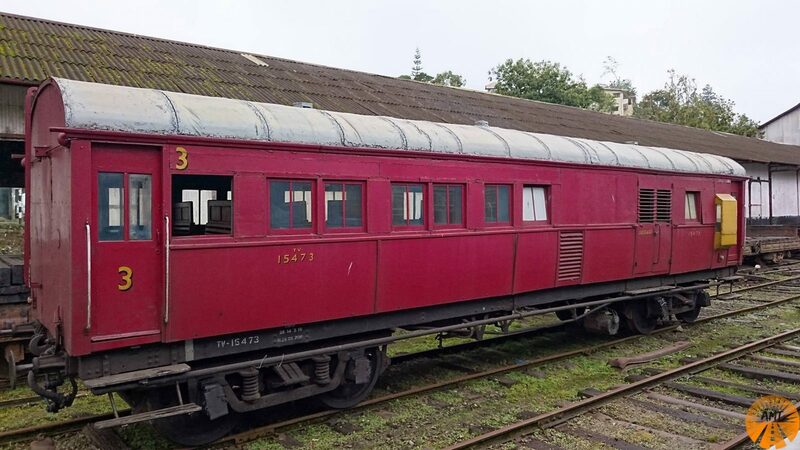 As of 1st class, we do not recommend it, for one main reason: it’s air conditioned, not bad you may say, but the windows don’t open, and you will lose the opportunity to lean out of them with the wind in your hair, enjoying the stunning views, one of the best feelings ever! Overall we absolutely loved the Ella-Kandy train, we wish all transfers could be such memorable and enjoyable! Seeing is believing! Romance in Ella: for an unforgettable couple’s stay, check out this romantic retreat! Kandy Hill Escape, Kandy: 2000rs/night, large room with bathroom and balcony, big house. You can book your stay in Kandy with free cancellation here. Train, 2nd class, Ella-Kandy: 240rs/person. Book your train ticket online and in advance here. You can book flights to Sri Lanka here. we were in Sri Lanka between September and October and it was just perfect, not rainy nor too much crowded, definitely low season. I think November can be considered mid, as many hosts told us winter months are peak season in Sri Lanka. When planning to visit Sri Lanka, you have to consider that it is affected by 2 monsoon seasons yearly. One monsoon brings rain to the south-west of Sri Lanka between May and September, the other to the north-east between October and January. November should be great especially for beaches and coastal areas in the south. Hey there. Thanks for your blog post, really helpful! We have already booked 1st class tickets before reading your post and now we are worried we won’t get very good views or pictures. Do you know if you can walk the whole way down the train from 1st class to 2nd and 3rd if we decide we want to? I’m not sure 100% but I would say yes, you can walk from one carriage to another. We personally didn’t go into 1st class but we moved easily between 2nd and 3rd. Alternatively, you could always get off 1st class at one station and hop on in 2nd to have that experience, and then go back to your seat at the next station! There’s usually plenty of time at every station, as lots of people have to get on and off. Have a great journey guys! 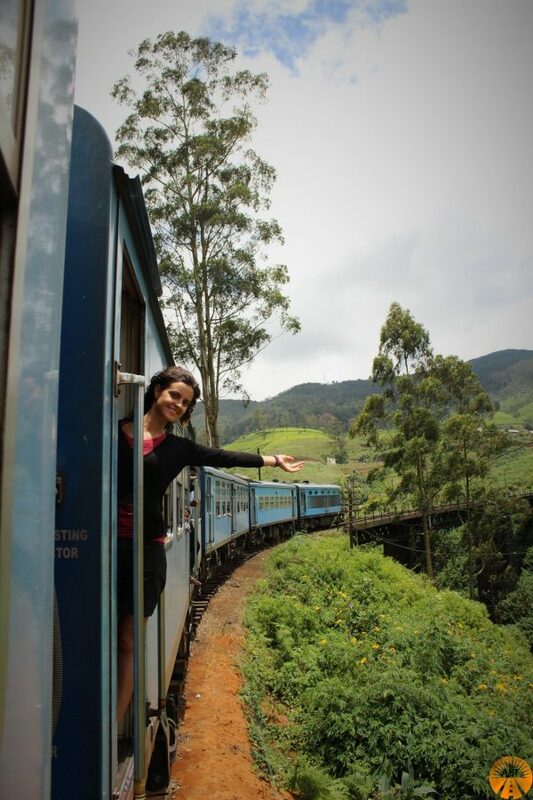 How did you purchased train ticket for kandy? As far as I knew, no online booking can be made in advance for Sri lanka train. at that time we bought tickets at the train station few hours in advance. 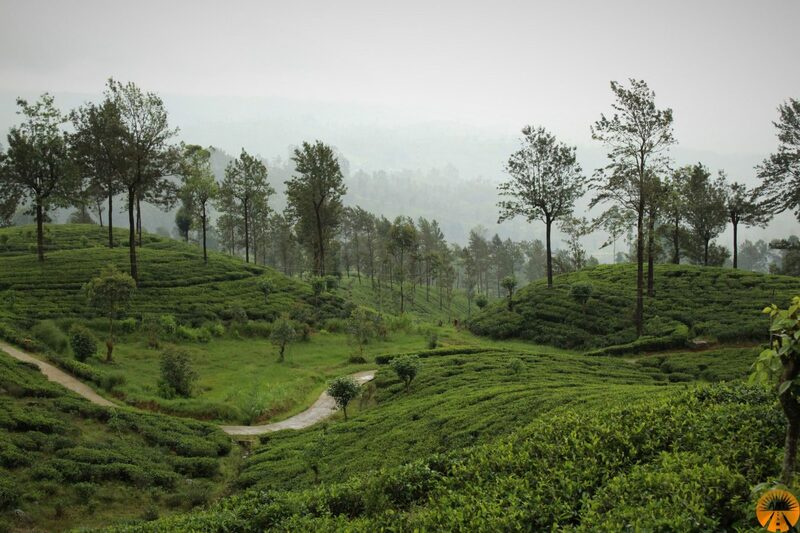 If you had to choose the stretch between Kandy to Nuwara Eliya or Nuwara Eliya to Ella, which do you think is more scenic? Hi! I’d say Nuwara Eliya to Ella is better, there’s more tea plantations around whilst the section towards Kandy has more views on hills and forests. Have a good trip! 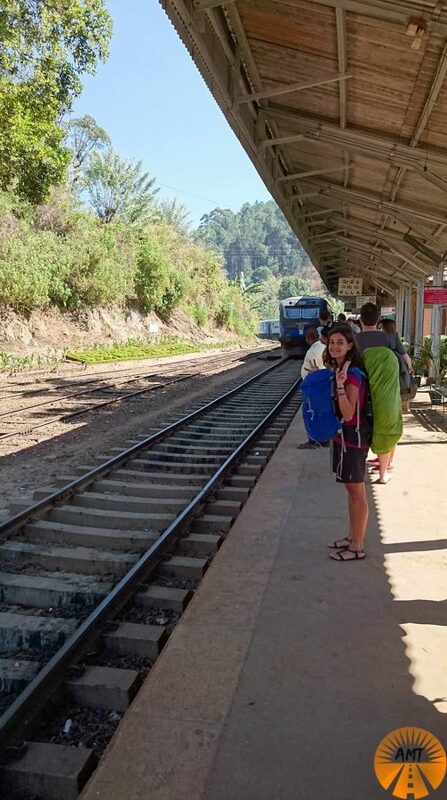 We’re travelling to Sri Lanka in April with 2 young children and were hoping to take the train from Ella to Kandy but not sure how long my youngest will last! If we were to just travel to Newark Eliya would it be easy for us to find a car/taxi to travel the rest of the way to Kandy?